Zain Iraq, part of Zain Group, a telecom and mobile data service provider across MENA has completed a communication services review. Following which, it has offered its advertising, social media and public relations mandate to Memac Ogilvy. According to company officials, Memac Ogilvy Beirut was selected for “its team’s dedication, passion in addition to common strategic vision and enthusiasm in presenting a creative and strategic full-fledged proposal in line with Zain Iraq business and communications objectives”. “Memac Ogilvy stood out from competition showing an absolute understanding of our business and market needs as well as challenges. The team grasped our objectives and managed to translate them into a creative approach. We look forward for their fresh thinking in line with the local community evolution, to meet our subscribers’ aspirations and exceed the Iraqis expectations,” said Ali Al-Zahid, CEO of Zain Iraq. As part of this partnership, Memac Ogilvy Beirut will develop a custom roadmap for Zain Iraq, handling its communication strategy, corporate reputation management, advertising, activation, public relations and social media. “Zain Iraq is committed to provide innovative services that meet the Iraqi consumers’ needs especially its subscribers,” said Mohammed Samir Ban, Chief Commercial Officer at Zain Iraq. “Memac Ogilvy will help us achieve this goal by developing communication strategies including solutions that will enable us to reach our subscribers efficiently and keep them informed about our latest services and offerings,” Mr Al-Zahid added. 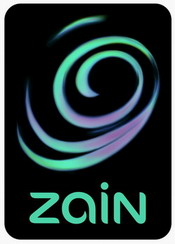 “We are proud to partner with Zain Iraq. The demand for our services is stronger than ever and this is evident by increasing the breadth of our practice areas and growth in our professional staff. Zain Iraq chose Memac Ogilvy for our solid strategy developed based on a market research and insights discovered by our team members,” said Edmond Moutran, CEO and Chairman of Memac Ogilvy MENA. The strategic partnership between Zain Iraq and Memac Ogilvy harnessing the power of a wide-array of communication tools – including advertising, marketing and PR – to propel the brand positioning as a telecom leader setting a new benchmark in quality standards. “The addition of Zain Iraq to our clients’ portfolio in Beirut represents the next chapter in our ambitious growth story. Our team challenged themselves to outperform in developing a full-fledged proposal around Zain Iraq role in the Iraqi telecom sector within a challenging timeline. We believe that our partnership with Zain Iraq and its team will help us provide the support required to achieve their marketing objectives and meet subscribers’ aspirations across Iraq,” added Naji Boulos, Managing Director of Memac Ogilvy Beirut.